It’s has definitely been an eventful year. Manchester United became the most successful domestic team in England. Manchester City won their first trophy for the first time in 35 years. Kenny Dalglish made a dramatic return to his beloved Liverpool. Fernando Torres became the most expensive Premier League player. 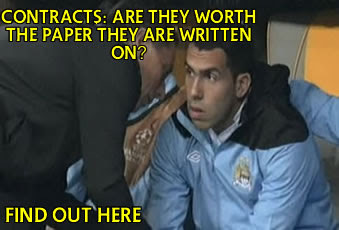 And Andy Carroll became the most expensive English footballer. While Cesc Fabregas finally left Arsenal! 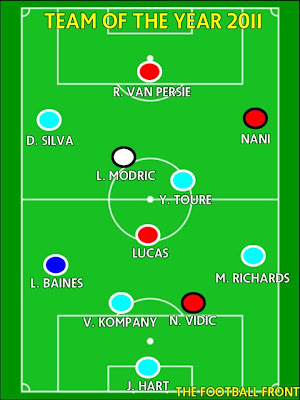 This article is a small review of the year, while at the end we will have a 2011 Premier League team of the year. This is a tough one, many teams have impressed this year. But for me it has to be Manchester City. Firstly, they have finally won a trophy. Secondly, the team broke into the Champions League elite and by the end of the year, the team look like favourites to win the league. What has also impressed me about Manchester City is the way they pass the ball. Especially in the 2011/12 season, the team’s passing has been sensational. The team can outpass most teams in Europe. Their ball retention is almost Barcelona eqsue. Indeed, they are no where near Barcelona’s level yet. But when this City side pass the ball it’s an absolute joy to watch. Runner up: Man United, third place: Stoke City. I think this is straight forward. It’s Sir Alex Ferguson. The Scotsman has now been in charge of Man United for 25 years, which is nothing short of sensational in the modern game. Furthermore, Fergie has showed this year he still one of the best around. He has made Man United the most successful domestic side in England. Ferguson maybe getting on in terms of age, but he is still a huge threat to his contemporaries. His hunger, desire and determination to win seems to grow with every year. For me this is easy. It has got to be Robin Van Persie. The guy has scored 34 goals in the year 2011. This is sensational. His phenomenal form has kept Arsenal competitive. Not only this, he has saved Arsenal so many times in the past year. Without RVP one wonders where Arsenal would actually be. The year 2011 has shown if Van Persie can keep fit, he truly is a World Class striker. What makes Van Persie a world class striker is the variation in his goals. Some are fantastic free kicks, bullet headers, cracking half volleys and there are some which are lovely placed finishes. Arsenal are very fortunate to have such a wonderful striker at the club. This again is very easy. 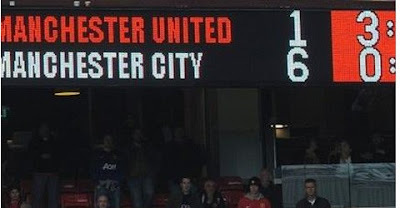 It’s Man United’s 6-1 humiliation at home to Man City. For me this result showed not only to Man United, but the world that Man City are no longer the ‘noisy neighbours’ they are a real threat not only to English teams but to major European teams. What made this result more compounding was Man United’s home form prior to this game was exceptional. They had no dropped a single point at home for over a year. Man City had no real right to win there, but to City’s credit, they punished Man United and potentially left a scaring mark on United. This goal was magical. No matter what your views on Wayne Rooney are you cant knock this goal. Firstly, his technique was incredible. Rooney had his body in the perfect posture and got perfect contact on the ball too. 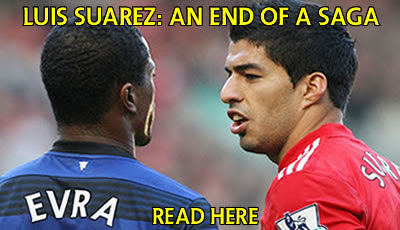 Secondly, the goal was against Man United’s arch rivals. At the time it was viewed as the goal which put Man City in their place. It was viewed as the goal which was supposed to suggest Man United were far better than Man City technically, individually and collectively. This goal will be remembered for years to come. Super Mario has surprised many. Most have viewed him as a volatile young Italian who has talent but his stupidity hinders him from being truly successful. 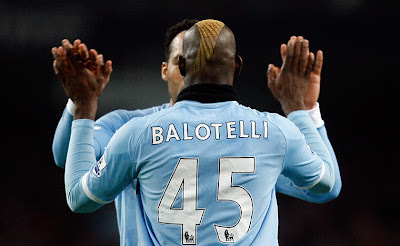 However, this year there has been a slight change with Balotelli. Yes he is still crazy and idiotic at times. But his form has improved dramatically. In the 2011/12 season he has scored 11 goals already. Balotelli has shown goal scoring consistency this year. He has been going through patches of form where he would score consecutively in various games. Not only this, Balotelli has been scoring in the big and smaller games too. Super Mario has also found time to also make people laugh too. His goal celebrations, firework antics and apparently going round as santa and giving people money has had people talking about him for a good few months! But, the young Italian has also found time to also show his volatile, inconsistent side. Against Liverpool in November, he came on a sub and left the field by getting a red card. Balotelli has made great progress, but there is a lot more work to do before he is seen as World Class. Fernando Torres wins this easily. The £50million man simply has not found his feet since joining Chelsea. In the past 12 months at Chelsea, Torres has been managed by two world class managers. But both have struggled to find a formula to get the best out of Torres. The year 2011 has been a really tough year for Fernando Torres. So far in his Chelsea career, the most expensive Premier League player has managed just 6 goals. While Torres’ form has declined to levels which no one would have expected. His miss v Man United is probably the best evidence of this. The Spaniard looks deprived of confidence sharpness and ideas. It’s regrettable, because on his day he is an exceptional player. And can match any striker in the world. Indeed, there is a long way to get yet in Torres Chelsea career. 2012 maybe the year when Torres finally finds his feet at Chelsea. But so far, Torres doesn’t look like a £50million player at all. The passing of Gary Speed was the darkest news in the football world in the year 2011 in the Premier League. It left the whole of the footballing world in utter shock. It just didn’t make sense to anyone. Speed was a fine professional, a decent manager who was doing a wonderful job with a young exciting Welsh side. However, it was refreshing that the whole of the Premier League joined united to support his family. The response to his passing was incredible. It really proves the footballing world no matter what club you align yourself towards can come together and unite to help each other. So here is my team of the year. It may annoy some and it may please others!